What sort of writer am I? As the years have gone by, I’ve found that the perceptions of what a healthcare copywriter is have changed. When I first started out as a copywriter, I didn’t have a dedicated art director and I was in charge of filing all the clinical papers. The account managers and account directors all had science degrees but I can’t remember using Zinc at all. I highlighted each clinical paper individually, with a highlighter pen and sent off a neatly packaged reference pack to the product manager through the mail. A healthcare copywriter had to have the knowledge of a medical writer, the research skills of a pHd student, the flair of a creative and be able to proofread and edit their own work. I remember being introduced to a Mac for the first time too. Fast forward 15 years and the industry has changed quite a bit. The bigger agencies have proofreaders and editors assigned to each team, as well as medical writers for fact checking and referencing. Projects are seamlessly managed online, where you can quickly and easily look at previous iterations as well as track changes. Thick, heavy, physical job bags are a thing of the past in some agencies (hurrah!). Zinc is used by the majority of companies I’d say and the trilogy of detail aid, mailer and leavepiece is no longer the backbone of a campaign. So although I now have the luxury of editors and proofreaders, flexibility and adaptability are still key to the job. I can be knee-deep in Zinc for 3 days before being asked to write a website for patients, or congress panels that may or may not need to be interactive. I still need to know my way around a clinical paper and have made my peace with Zinc and the art of marking up a PDF. A brief is still only as good as its single-minded proposition and although the communication channels may have changed, a story still needs a beginning (or an unmet need) and an end (a call to action). So where does that leave me? What kind of writer am I? I’m a flexible, knowledgeable, experienced healthcare copywriter that can be trusted to get on with the job and deliver ABPI-compliant copy that gets the message across. I’m a healthcare copywriter extraordinaire. Sometimes I write about the world outside of pharma. This world has more mud and no need for Zinc approval, but it’s incredibly good fun. If this doesn’t make you want to go orienteering nothing will. Like festivals? Fond of mud? Handy with a map? Then look no further for your ideal family festival.While many local families have spent the summer looking forward to Belladrum or the Gentlemen of the Road Stopover, some families have been attending an altogether different type of festival here on our doorstep – The Scottish 6 Days Orienteering competition. 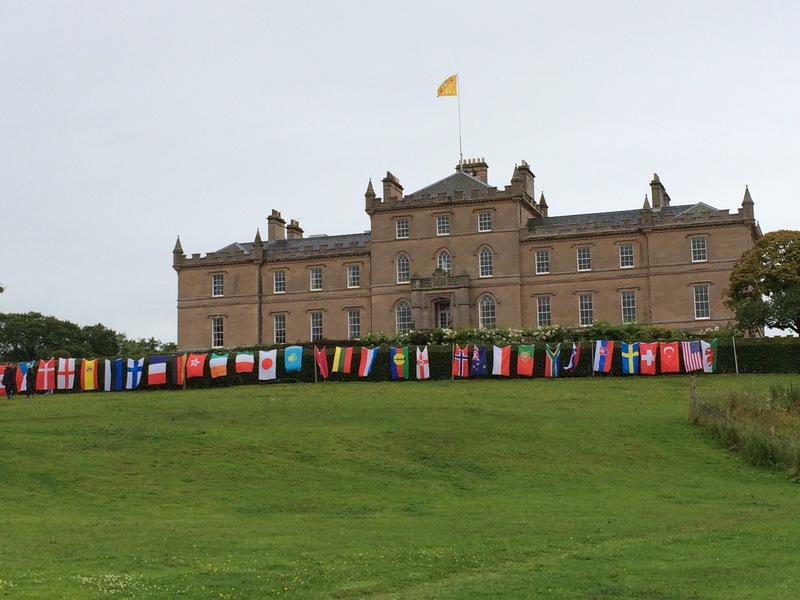 Running alongside the World Orienteering Championship, the Scottish 6 Days Orienteering competition is an opportunity to experience world-class orienteering within a festival atmosphere. Designed to appeal to all ages and ability, there’s something for everyone. Age classes range from under 10 to over 80 and above and the midges and mud are included as standard, as with any respectable Scottish festival. As a novice orienteerer, I approached Day 1 of the festival held at Achagour with trepidation and a severe lack of map reading experience. But what really struck me as soon as we arrived was the wonderful international family atmosphere. From our own Moravian club alone we had an abundance of families in attendance, running alongside juniors, seniors, novices and everything in between from Italy, Sweden, Hong Kong, Czech Republic, Switzerland, Spain, Lithuania and more. The sight of hundreds of colourful tents and flags from all over the world, here in our little corner of Scotland, was electrifying. The navigational courses we ran started through thick vegetation before heading across the marshes. Some runners may have encountered a ditch that could be crossed via two specially constructed bouncy walkways, but thankfully my route bypassed that. Instead, my mud splattered legs and trainers full of boggy water were led over fields to Achagour Fisheries and into a confusing and disorientating forest plantation before hitting a field archery range, and then finally ending up back at the wonderful festival atmosphere. Some people pay hundreds of pounds to be physically challenged by mud, bog, fences, fallen trees, ditches and other various obstacles. At the Scottish 6 Days, these challenges come as standard for a fraction of the price! Day 2 was held up beyond Inverness at Strathfarrar. The sun shone, the international crowd mingled and the competition remained fiercely friendly. Best known to Munro baggers as a quiet and secretive glen, Glen Strathfarrar is usually under strict access control with only 25 vehicles allowed into the area on any one day. But over 5000 international orienteerers left at the end of the day happy and content with a good day’s running done. Day 3 and we’re really into the swing of this festival. The World Orienteering Championship, running alongside the 6 Days, might be getting all the media coverage, but it’s my fellow Scottish 6 Day competitors that are helping to swell the ranks of spectators cheering on those elite map-wielding athletes. The atmosphere at Darnaway on Day 3 was thrilling. Watching the men and women’s Middle Distance Final on the big screen while simultaneously cheering on the competitors as they crossed the finish line in front of us was priceless. Fuelled by venison burgers, Aberdeenshire cheese and meilie pudding oatcakes (thanks to Event Scotland and the Year of Food and Drink), we sampled the off road delights of Mountain Bike Orienteering before soaking up the atmosphere at Darnaway. Where else can you sweep through fields of golden oats and barley to gardens of a stately home teeming with people who just love running through forests with a map? You could almost taste the sense of adventure in the air. Day 4 and we’re back to Darnaway. The mud and midges might be less prominent (shh, don’t tempt fate) but the family festival atmosphere continues. Moravian are one of the clubs responsible for organising Day 4 and as usual, the hard working Liz Barr, Jane Halliday and Donald Grassie produced a phenomenal day with the assistance of many other Moravian members. One of our members, Derek McNeil, spent the day celebrating his 73rd birthday by running in the M70L class (for runners aged 70 and over) – Happy birthday Derek! My little family team ended up spending most of the day on the String Course – a mini orienteering course that allows even the youngest of budding orienteers to have a go. As the name suggests, the map has you following a piece of string around different controls and is loved by all children, even the ones that were zooming past me on the ‘grown up’ courses. My weary children are now tucked up in bed, having spent the last 4 days giddy on fresh air. They’ve explored new forests, made countless new friends of many different nationalities and run through fields of oats and barley. Each day has been bursting at the seams with adventure. And we’re doing it all again tomorrow. If you’d like to come along on a family-friendly adventure with us, our next event is at Sanquhar woods on 22nd August (see moravianorienteering.org for more details). Everyone is welcome. Happy 2nd birthday to us! It’s hard to believe that Highland Tonic was created 2 years ago, but the calendar does not lie. I’m so grateful for all the support we’ve received from friends, colleagues and clients. The past 2 years wouldn’t have been half as much fun without you all. We’ve proved that working remotely does work and we’ve had some great adventures along the way. So thank you to everyone that has helped us or worked with us so far. So with my relocation to a far-flung corner of Scotland imminent, I thought a little post about the benefits of remote working was called for. Remote working works. I already know this, but how can I convince you of this too? How many of you use email on a daily basis? Hands up now. No hiding. How many of you use conference calls with clients to save time travelling to their offices? All of you I’d guess. Email synced to your iPhone or Blackberry? Me too! So already, you’re using tools to communicate with clients and suppliers that are not on your doorstep. But email and conference calls are just the tip of the metaphorical iceberg when it comes to remote working. Not another post about the Ice bucket challenge? It’s everywhere. Everyone is doing it. 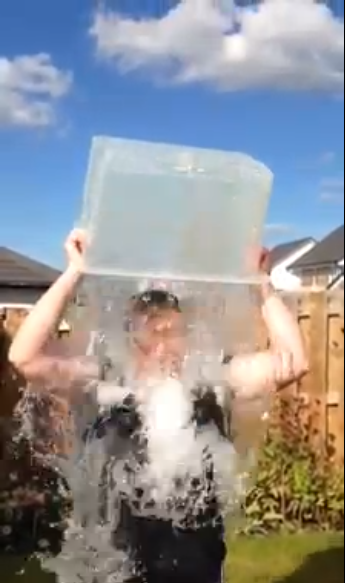 Nobody can escape a drenching from the mighty ice bucket. It’s all a bit of fun! We’re raising money for charity! There’s no harm in it! Except now we’re starting to see groups of people posting what they believe are valid reasons for not doing the ice bucket challenge. Frankly, I’m not that concerned if you do it or not. But what does annoy me is when you claim the evil pharmaceutical companies are the reason why nobody should be doing it or donating to ALS/MDA/Macmillan or A.N Other charity. So let me ask you this. If you were diagnosed with breast cancer/muscular dystrophy/multiple sclerosis/any chronic and potentially life threatening disease tomorrow, what would you want your treatment schedule to contain? What would you want your consultant to say to you? Yes, charities pay their staff salaries. Good salaries to ensure they do a good job. Yes, there are lots of health benefits to be found in a jar of coconut oil (I love the stuff). But if coconut oil (or any other natural product) was the answer to all of our health ills, could cure cancer and reverse disability in multiple sclerosis, I’m pretty sure an evil pharma company would have found a way to patent the life out of the stuff by now. Pharma companies may be big. But they are also clever and the drugs they sell save lives. And yes, I did throw a bucket of water over my head before I wrote this. Facts | GAVI Alliance Progress Report 2012. Now that really IS the last thing I’m going to say on the matter! Almost 4 weeks after my local newspaper published a version of this article on where I stand in the great vaccine debate, the letters are still pouring in to the Editor. While I’m glad my article has sparked this debate at a local level, I’m saddened to see so many people denying the value of vaccines. The ability that the internet has given us to research diverse topics from the comfort of our own sofa is remarkable in so many ways, but it also means that an awful lot of parents are being led to believe that they are making informed choices about vaccines. I agree that knowledge is power, of course I do. Arming yourself with the facts is absolutely essential when making any decision. But how can parents be sure that the ‘facts’ they’re busy googling are indeed based on solid scientific evidence? They can’t until they learn about the validity of clinical trial design and have a good understanding of statistics. Sadly, people will always be swayed by anecdotal accounts. Trip trap, trip trap. Who’s that walking over my bridge? Trolls, it would seem, lurk everywhere. They pounce when you least expect it and not just in the digital realms. This weekend, I had my first experience of a troll. At least, that is how I am choosing to categorise him. I knew when I wrote this piece and submitted it to my local paper that not everybody would agree with me. Vaccination is an emotive subject for many and every man and his dog has a tale of woe to tell about it. Now, educated debate I can handle. Constructive criticism is a way of life for a writer. If we are ever to improve our craft, we need honest feedback and guidance on how we could have done things differently. But personal insults are never called for. Sadly, that is exactly what happened this weekend. An individual, passionate about the evils of vaccination decided to pepper his response to my article in a letter to the Editor with abuse that called for readers to ‘treat me with the contempt with which I deserved’, claimed I was an ‘apologist’ for vaccine manufacturers and ‘to get out more’. Okay, so worse things have been said at sea. I was prepared to just laugh it off and leave him to stew in his own bile. But the inaccuracy of his arguments against vaccination really started to get under my skin. This was an area I felt passionate about and I just couldn’t let it lie. So I have responded. I made sure to spell his name correctly (a courtesy he failed to extend to me) and I simply stated the facts about Andrew Wakefield, subsequent studies into MMR and autism and the realities of herd immunity. I resisted serving a volley of abuse back. So my question to you, dear readers, is this: Do you feed the trolls in the hope that nourishing them with good, wholesome facts will enlighten them? Or do you walk away hoping everyone will see them for what they are? 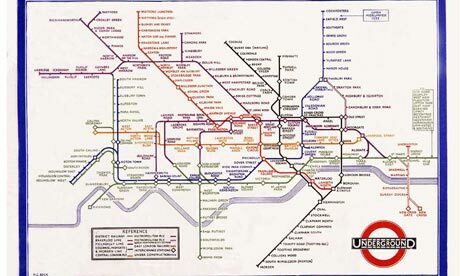 When we lived in London, I had a real love hate relationship with the tube. I adored the retro tiles still visible in some stations, enjoyed the architecture when I had a moment to stand and stare and marvelled at the ginormous feats of engineering that were the escalators. But when it came to sitting on the seats or touching the handrails, my inner microbiologist squirmed at the thought of what lay hidden to the naked eye. So it was with morbid fascination that I read this article in the New York Times, which reported on a study looking at the bacteria found in air samples collected from the New York subway. Surprisingly, there was nothing extraordinary to be found. No new species of superbug waiting to be discovered by Teenage Mutant Ninga Turtles, nothing derived from ectoplasm that would necessitate a call to Ghostbusters. The most stomach churning discovery was that a fifth of the identifiable bacterial species “probably came from human skin — our heels, heads and forearms, mostly”. Not surprising really, but enough to make you feel a touch bilious if you stop and think about it for long enough. I wonder if the same type of results would be found if a similar study was conducted in our dear old underground? After a busy week writing about inflammation, I stumbled across this great video. I love this style of sharing information and we incorporated something similar in the house video for PAN that sits on their homepage. I’m going to have to try very hard not to spend the rest of the day exploring the other videos Armando has done. Brings back memories of studying for anatomy with the Anatomy Colouring In Book – very therapeutic. Happy Friday everyone! Having just finished writing an article on vaccination and comparing it to wearing a seatbelt, this Nissan Vases campaign really resonated with me. I normally wouldn’t give car adverts a second glance, but it’s funny how good creative can make you sit up and take notice and make the brand seem relevant to you. Seatbelts, airbags, vaccinations: all pretty good ideas that can save lives.